"Designed for solo musicians, bands or anyone away from the studio who needs to create drum patterns. If you are a guitarist or vocalist who needs a backing rhythm or perhaps your drummer has been abducted by aliens or blown up and you need a replacement-this could be just what you need! * Advanced creative features you won't find on a standard drum machine. * A huge range of professional acoustic and electronic sounds. * Real-time record or step record. Create up to 32 patterns and 8 songs using 5 tracks. 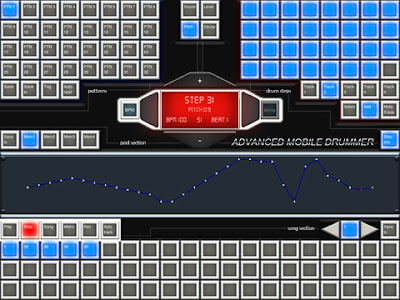 * Adjust pitch, level and decay on each drum pad or drum step and control these settings over time as part of your pattern. You are not limited to just one sound per track as each step can have its own sound. * You can also adjust swing from 0 to 7(extreme). 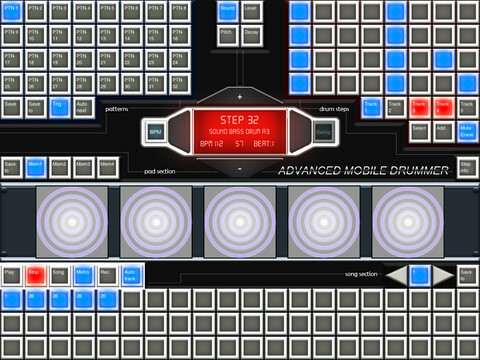 * Auto track assigns each pad to a track automatically. * Store 4 drum kit programs for the drum pads independently from patterns. * Real-time triggering of patterns." iOS Devices on eBay - Don't miss the Cyber Monday Deals through Dec 2.